Upon entering Cameron Park Zoo, visitors are often greeted with the songs of a pair of white-handed gibbons calling from their lush island habitat. 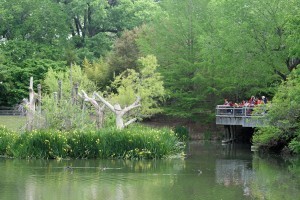 With the large wooden deck overlooking the lake and gibbon habitat, the Gibbon Island exhibitis a favorite among zoo visitors. 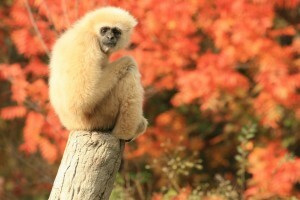 While the gibbons are busy performing their calls and acrobatics, guests can lunch at picnic tables or feed the fish in the lake.